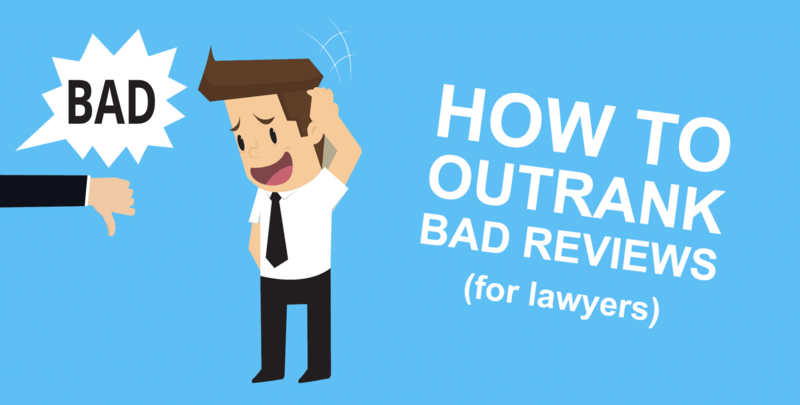 So what happens when a law firm gets a bad review from the press? Unfortunately, it can happen. But as with product reviews, companies can use these reviews as search engine optimization (SEO) marketing opportunities to improve. Bloggers, reporters and even amateur videographers are choosing to write content that discredits the organization. As a lawyer, on the surface, this may look bad for your organization to be affiliated with this organization—unless you believe in the cause and/or would like more legal business to be sent your way with like-minded organizations. While blogs, videos and articles could be creeping to the top of SEO, if enough people click the content, these anti-campaign outlets may also make their way to the first page of Google and above even the crowdfunding campaign link for donations. Avoid letting this happen. This is one of the most ideal times to use your legal blog to help explain why you are affiliated with this cause. Of course there is a happy medium between writing SEO content that supports a bigger cause (i.e., helping domestic violence victims) and writing content that sounds more like it was written by the creator of the crowdfunding campaign. The latter blog is something that can be taken care of on that crowdfunding campaign’s own site. Your goal for a legal blog is to make sure you discuss the cause on a larger scale and potentially help it get as much traffic as need be to stay on the first page of search engine sites. Should you use the organization’s name in your legal blog in hopes of getting ahead of the controversy? That is for you to decide. However, if you do, be prepared for the backlash of being publicly affiliated with this organization or creator. As lawyers and attorneys are well aware of, every case is not going to be a crowd favorite with the opposing side. However, the goal of your SEO blog is to defend your side. Your SEO blog may want to use SEO keywords such as “domestic violence,” “domestic support,” “family law,” “intimate partner violence” and statistics from credible organizations such as the National Coalition Against Domestic Violence. For potential clients, and even current clients, your legal blogs should help to educate people and make them aware that you are knowledgeable on the larger scope of a client’s organization. In today’s digital world, people aren’t just reading blogs and articles. They are also listening to podcasts and watching videos. Don’t rely on your blog to tell the whole story. Be receptive to the idea of speaking up on wider platforms, and make sure that content is shareable on your site. Again, SEO keywords to get people to your site are important. This gives you the opportunity to help control the narrative and ideally answer questions that are threatening to hurt the credibility of an organization you are representing. Written and audio content in which you can take on reasonable conflict gives both sides an opportunity to speak—something that can be said in courtrooms too. You may not “win” over everyone with these tactics. But by avoiding being silent on an issue of bad reviews and/or bad press, you at least give yourself the opportunity to explain why your firm was willing to do it anyway.